From 2006 to 2008, approximately 12,000 people received Zimmer Durom Cup hip implants. They expected reduced pain and greater range of motion; what they didn’t anticipate was device loosening and early hip failure. In 2008, in the wake of patient complaints and doctor warnings, Zimmer temporarily suspended sales of the Durom Cup. At the time, reports suggested that 20% to 30% of all Durom Cup recipients would experience hip replacement problems, and 5.7% of all Durom Cup hip implants would fail. As a result of unexpectedly high failure rates and complications, many patients chose to file a Zimmer hip replacement lawsuit. On June 9, 2010, the U.S. Judicial Panel on Multidistrict Litigation (JPML) consolidated federal Zimmer hip cases into multidistrict litigation. MDL No. 2158 involves complaints related to Zimmer’s metal-on-metal Durom Acetabular Cup, commonly known as the Durom Cup. On June 9, 2010, the JPML consolidated 11 federal lawsuits into the Zimmer hip MDL No. 2158. The MDL is centralized in the U.S. District Court for the District of New Jersey under the honorable Judge Susan D. Wigenton. The Zimmer hip MDL joins lawsuits to enable plaintiffs to share information and other resources, but unlike a class action lawsuit, all MDL plaintiffs retain their individual rights to settlements or trial verdicts. The MDL’s original 11 plaintiffs soon grew exponentially, as more patients became aware that their health problems and hip complications were not random bad luck, but possibly due to a faulty hip implant. Injured claimants say that the manufacturer should have issued a permanent Zimmer hip recall for the Durom Cup. Though no Zimmer hip class action has been filed in the United States, a major class action lawsuit is proceeding in Canada. The lawsuit formed in 2011, and potentially involved all 5,000+ Canadians who had received Durom Cup hip implants. By 2013, approximately 60 Canadians had joined the class action, and more are expected in light of growing reports of metallosis, or heavy metal poisoning. 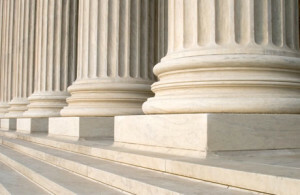 Canada’s Court of Appeal dismissed in January 2013 a recent appeal by Zimmer; the class action will proceed. The number started at $271.7 million – Zimmer funds reserved for patients who required early hip revision surgery. Then, in September 2011 Zimmer estimated that it had a remaining liability of $142.6 million, to resolve pending cases involving any Durom Cup surgeries completed before July 22, 2008. At the time, Zimmer stated it would only settle cases filed within a certain timeframe; the company was later forced to revise its position. Zimmer’s updated stance is that it will address all lawsuit claims involving surgeries before July 22, 2008, regardless of when the lawsuits were filed. Then the manufacturer indicated it had reserved an additional $10.2 million for Zimmer hip replacement lawsuit complaints involving surgeries after the July 2008 deadline. The total estimated cost: $424.5 million. In November 2012, a quarterly filing with the Securities and Exchange Commission indicated that Zimmer had already paid a staggering $388.2 million in Zimmer hip lawsuit settlements to plaintiffs suffering Durom Cup hip replacement problems. Even more, the manufacturer indicated that it expected to spend at least $230 million more to settle these lawsuits by 2014. The total estimated cost had risen to $618.2 million. Multidistrict litigation always kicks off with one or more bellwether trials – plaintiffs whose cases represent the general allegations of other involved lawsuits. The results of each bellwether trial have no direct effect on other MDL cases, but do set a tone for how the MDL could proceed. The first Zimmer MDL bellwether trial was scheduled for September 2012. However, due to mediation and settlements, by 2013 no federal trial has begun. However, new lawsuits have been added to the MDL, and litigation is still pending. It is likely that the MDL will proceed with remaining plaintiffs after Zimmer has finalized settlement agreements. Defective medical device lawsuits, including those concerning Zimmer hip replacements, are often complicated. Hundreds of plaintiffs across 50 states may file complaints, and attorneys must navigate Zimmer denials and defense tactics, and coordinate information about scientific studies and clinical testing, as well as depositions and discovery, FDA adverse event reports – the list goes on and on. It’s normal for this to be overwhelming, and that’s why you need a qualified, experienced Zimmer hip lawyer on your side. Think of your attorney as a guide to the legal process. Your lawyer should understand the general ins-and-outs of medical lawsuits, as well as the specific details of hip litigation against Zimmer. He or she will stay current on all news related to your lawsuit, including new research that can help establish Zimmer’s negligence and liability. A good Zimmer hip lawyer will explain the basics, but won’t overwhelm you. He or she will advise you of your options, but will never make a decision on your behalf without your consent. Your Zimmer hip attorney can help you negotiate an out-of-court settlement, or will take your case to trial. It should always your choice; your lawyer is there to facilitate the process and advise you whenever necessary.